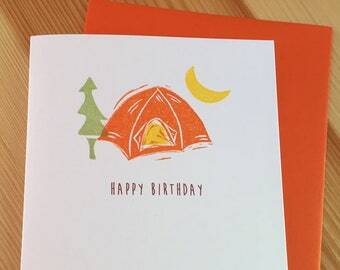 Unique note cards, stationery and soft goods. Announcement Hello! 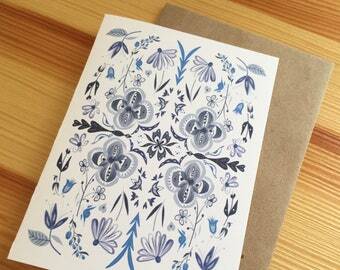 My note cards, stationery and soft goods are lovingly printed in my home studio in Pittsburgh, PA. 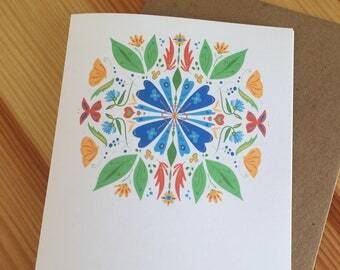 They are created from my original drawings and paintings, inspired by nature and the little things in life. Hello! 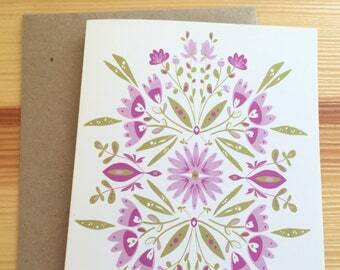 My note cards, stationery and soft goods are lovingly printed in my home studio in Pittsburgh, PA. They are created from my original drawings and paintings, inspired by nature and the little things in life. Red Chile Pepper Kitchen Towel - Hand Block Printed Pepper Soft Cotton Flour Sack Towel - Ready to Ship! 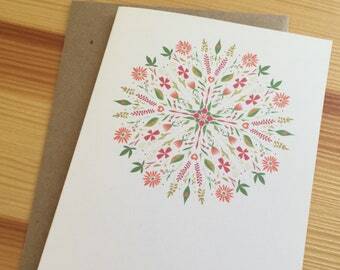 These small note cards are just beautiful. The artwork is wonderful and I have already had someone ask where I got the cards. They arrived much faster than I expected them to. I will purchase from this shop again. Great cards, quick ship. Thank you! 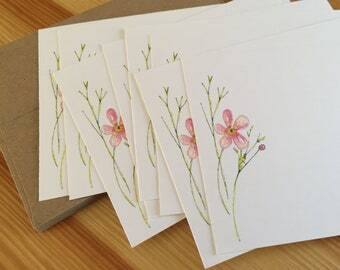 Fresh new watercolor botanical stationery sets! They make perfect gifts for the flower lover in your life! 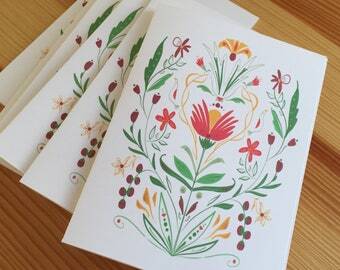 Brand new folk art cards are now in my shop. 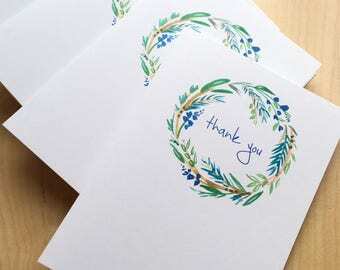 They are perfect for sending those holiday thank you notes! 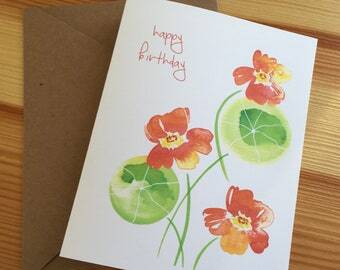 Send a cheery birthday greeting with my brand new sunflower card! Pink Bathtub Designs is the creative endeavor of Noelle Griskey. 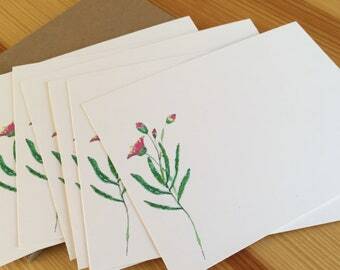 She began a line of hand stamped stationery back in 2004 after randomly purchasing a simple stamp making kit and a few colorful ink pads. 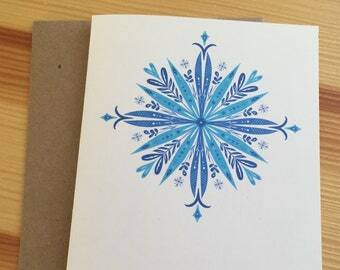 Over the years, she grew her line and created a multitude of designs and hundreds of stamps. In 2015, Noelle decided that it was time to expand her brand. 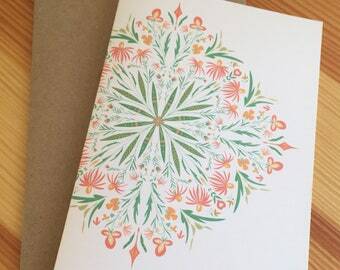 Always wanting to experiment with watercolor, she took on the creative challenge of learning the medium and subsequently started a fresh new collection of paper goods. 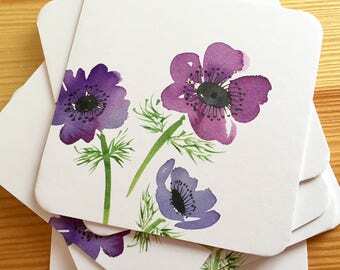 Inspired by nature, bold florals and vintage botanical drawings, her work comes from an appreciation of the little things in life. A love of gardening, cooking, photography and travel influences much of her work as well. 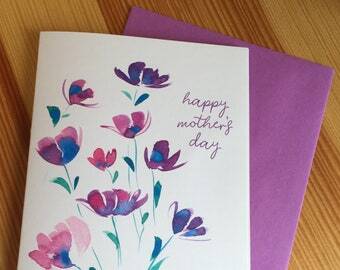 From her home studio in Pittsburgh, PA, all greeting cards and stationery products are printed on 100#, recycled card stock using high quality, archival inks. Noelle is completely self-taught, armed with only one quarter of art school. (But her business degree has come in handy.) And yes, she does have a pink bathtub! My name is Noelle Griskey. I live in Pittsburgh, PA via Portland, OR; Washington, DC and Los Angeles, CA. 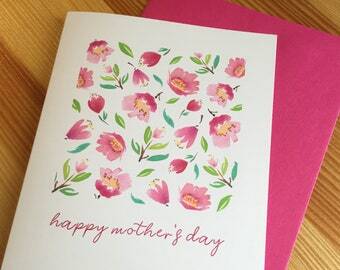 I create a variety of greeting cards and stationery in my sun-filled home studio. Welcome to Pink Bathtub Designs! I think most policies have been covered below, but please feel free to contact me with any other questions. Thank you! I want you to be completely thrilled with your purchases! Please contact me immediately if you are not happy or if there's an issue with your order. Please note that orders shipping to RI, WA, and PA addresses will be charged sales tax upon check out. Your order will ship within 2-3 days of payment, if not sooner. I use USPS First Class or priority service depending on the size of the order. If you require insurance or delivery confirmation please contact me. All copyright and reproduction rights are retained by me. Thank you! I love custom and personalized orders, just send me a convo and we'll chat! Yes! 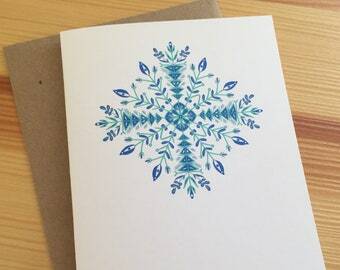 I am on Etsy Wholesale (link below) or I would be happy to mail you a catalog and samples. I'm happy to do a simple gift wrap consisting of kraft paper and baker's twine, just let me know in the "note to seller." Orders will ship in either a card board mailer or bubble wrap mailer.